For those of you that receive my newsletter, you will know that I will be teaching in the vineyards of British Columbia this September. 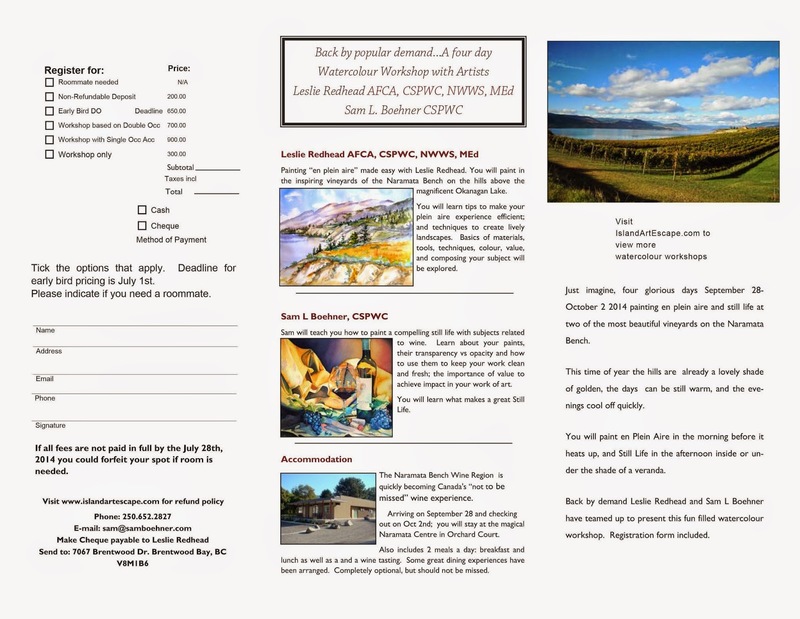 This workshop will be plein air painting with me for part of the day and still life painting all things wine with Sam Boehner. 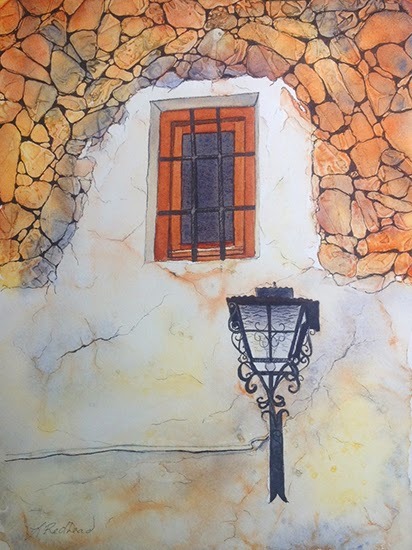 We taught the course last fall and it was a huge success and had a wonderful time painting, eating, and tasting wine. This year, it is September 28- October 2. 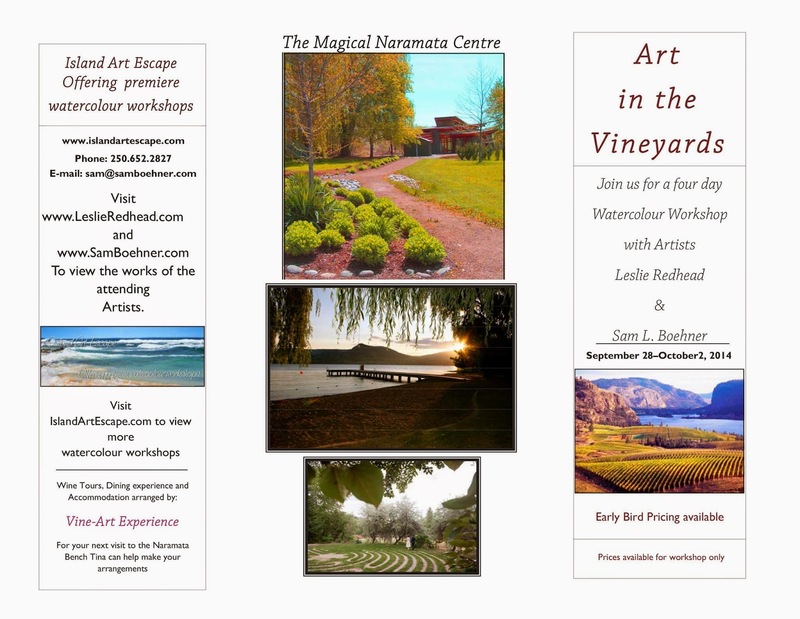 We will be painting in the vineyards around Naramata and Penticton, BC. This area is called the Okanagan and has a beautiful lake and is known for it's wine. 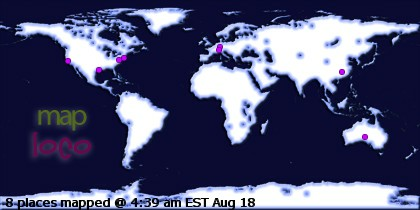 It has become the Napa Valley of Canada. If you would like to join us, there is an early bird special of $650/person based on double occupancy. This price is only available until July 1 (this coming Tuesday!). We will take checks that have been postmarked by that date. Only a $200 deposit is required to receive the early bird special. 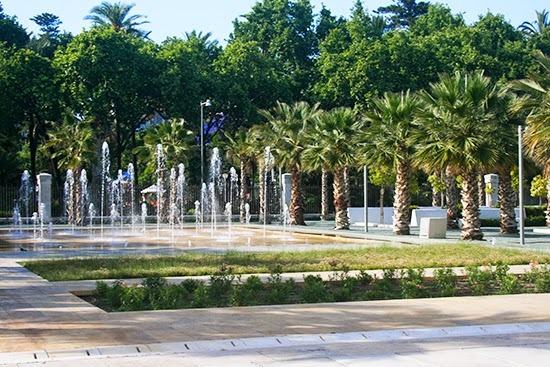 After July 1, the price goes up to $700/person based on double occupancy. This price includes a 4 night stay at the Naramata Centre, breakfasts, lunches, wine tasting, and instruction. Dinners are on your own but we will be making reservations at a few choice restaurants. Hope some of you can join us! I have been quite neglectful in posting my paintings from the past few months so I will be trying to catch up. 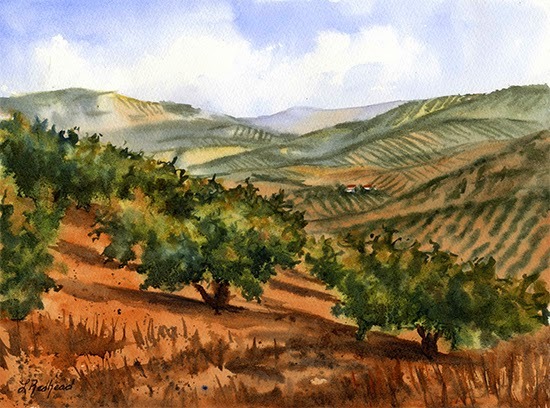 Spanish Olive Plantation is one of my watercolors from Spain. The resort (El Molino de Conde) were we stayed is in the Andalusian countryside and is surrounded by olive groves. Another watercolor sketch with pen and ink. The rocks were the most enjoyable part of it but also enjoyed the scroll work on the lantern. Using a pen to fill in the delicate lines makes it easier. Plus I can carry the painting anywhere and not have to worry about the water and paint. 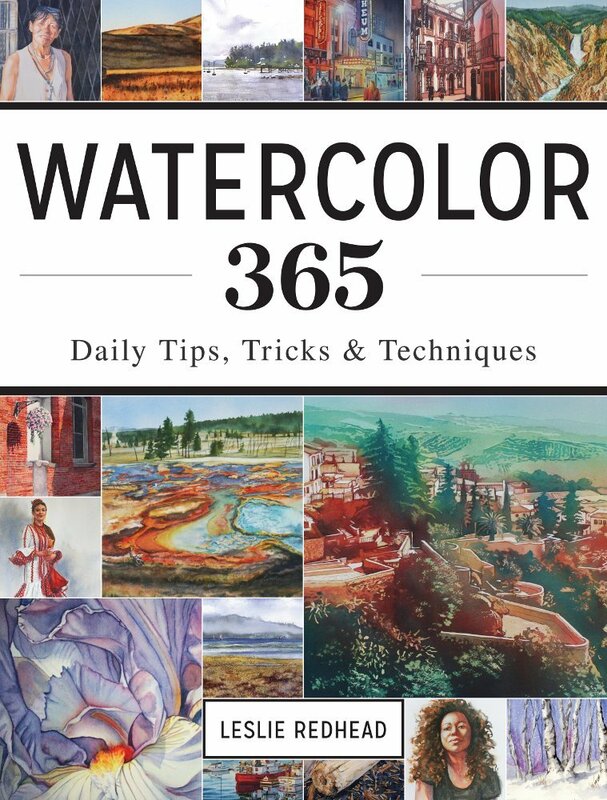 I had the wonderful opportunity to return to Victoria at the end of last week and teach another watercolor course. 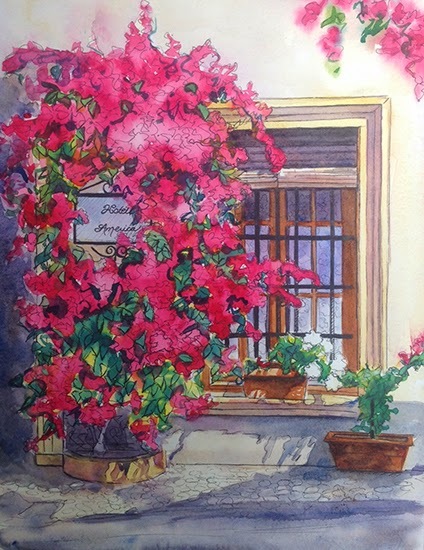 This time it was watercolor with pen and ink and the subject matter was windowboxes. It was a fun art group from the Juan de Fuca Centre. Several were returning students plus a few new ones! As always, we had a great time. I tried to show them how to loosen up with the paint and then to use a pigmented ink pen to define the subject. We also did a few exercises with line work. Hotel America is one of 2 hotels at the Alhambra in Granada, Spain. Alhambra. The Alhambra is a Moorish palace and fortress built in the 800s. It is considered one of the wonders of the world. The Nasrid palaces are also some of the most beautiful buildings I have yet to see. I would like to paint them someday. Ronda, Spain is one of my favorite spots to visit. There is always something new to see and explore. Ronda also has such a fascinating history. 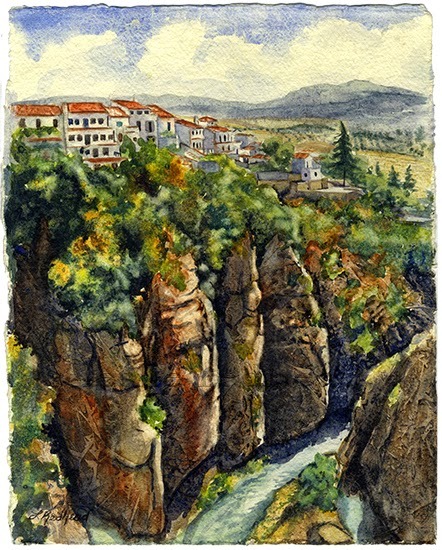 I love the cliffs and the village teetering on the edge and have painted it a few times. This time I painted it along with my students in Spain and showed them how to make those amazing cliffs. 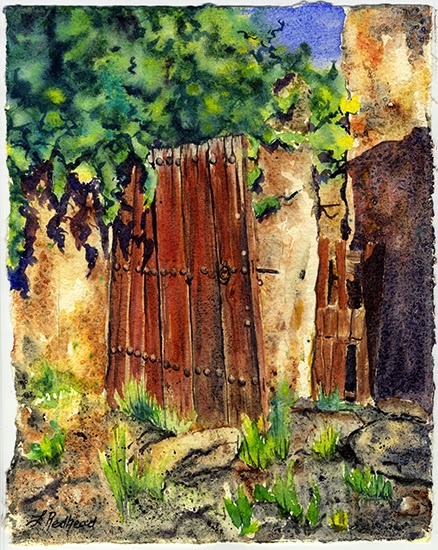 The painting of the door is from an old house on top of the hill behind the resort where I taught the workshop. 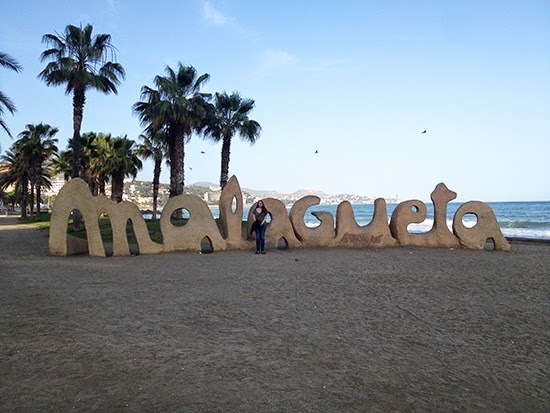 The resort is called El Molino de Conde. It is an old bread mill. The house is in the middle of olive trees and has probably been falling apart for decades. The nails on the door are no doubt hand made since every single one was a different round shape. It added to the rustic feeling of the place. Here are some more photos from the trip. I went with my daughter who turned 18 while on the plane there. 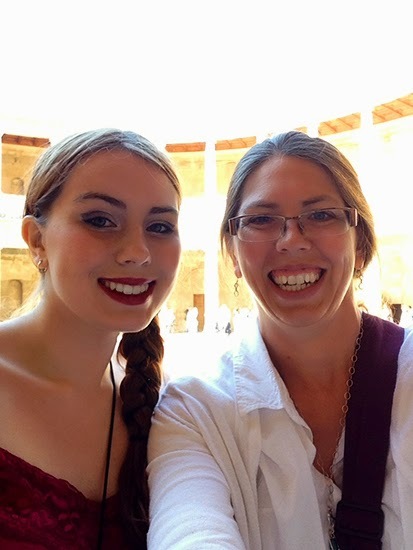 This trip was not only an opportunity for me to teach in Spain but a gift to her and time for us to spend together before she goes off to university in the fall.